Sergey Brin Surfs at Google+ Beach Party -- "I'd +1 that"
Google is riding the wave of success today -- the Google+ team got treated to a "beach party" outside their building. Even Sergey got in the wave pool for a little surfing action. Larry Page, Bradley Horowitz and Vic Gundotra -- who do not attend every Google event -- took part as well, showing the importance of Google+. 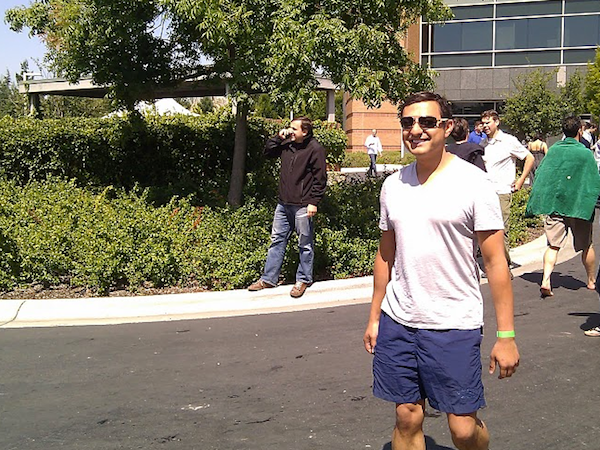 Google+ Profiles Product Manager Frances Haugen posted photos of the event to her Google+ profile (see below). Google may have also created the web's next meme: "I'd +1 that. "* We so want one of those TV shirts. * an obviously play on words for "I'd hit that," the colloquialism for "I would consider making love to that person." 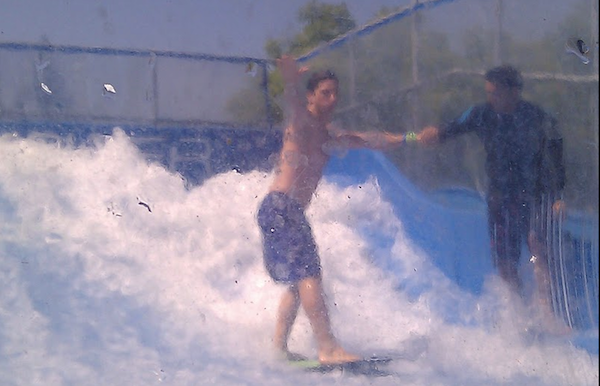 Sergey Brin gets some assistance surfing in the wave pool. Larry recovers after a fall in the pool. Vic takes in the scene. Bradley got in the pool as well.